Legislation in 1870 ordered county-level recording of vital records; the Minnesota Vital Records law enacted in 1907 mandated recording of births and deaths at the state level. 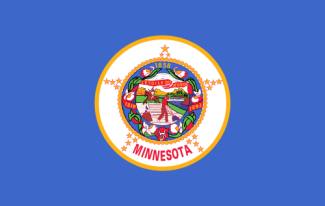 Minnesota birth records have been maintained at the Office of the State Registrar, Minnesota Department of Health, since January 1900, with Minnesota death records since January 1908. Certified copies are available in person, by mail, or by fax, with proof of tangible interest, from the State Registrar or from the local issuance office, or online through VitalChek; non-certified copies are available to anyone. The Minnesota Historical Society has online birth and death certificate indexes: the birth index is for certificates in 1900-1934, with some very spotty records prior to 1900; the death certificate index is for 1908-2001, plus a death cards index for 1904-1907; informational certificate copies can be ordered from this index, which includes some coroner's inquest death registers. Note: For information pertaining to adoption records, call 651-201-5970 If other questions, email osr1@health.state.mn.us. Record Access Requirements: Only those with a "tangible interest" may request a certified record, but a notarized signature of the requester is needed. The MDH no longer handles in-person requests. Visitors may make in-person requests at local registrar offices. Search Note: Anyone may order a non-certified record and notarized signature is not required unless it is a birth to unmarried parents. Note: If questions, email osr1@health.state.mn.us. Record Access Requirements: Only those with a "tangible interest" may request a certified record. Those without such interest may receive non-certified. In person requests must be made at local registrar offices. Note: If date or place not known, include last year known to be alive.